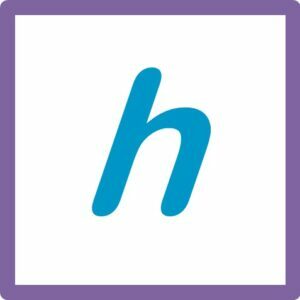 hobbycue.com is a comprehensive platform for supporting the pursuit one’s hobby. It is a one stop shop to explore and progress ones creativity and talent in fields such as music, dance, arts, sports, games, cooking, gardening, technology, etc. The platform is built by Purple Cues Pvt Ltd, a startup company that has been incubated by Government of Karnataka as part of NASSCOM 10K Startups program. Purnima and Bhaskar are a couple who co-founded this. Purnima has done her Masters in Computer Applications from Madras University, and Bhaskar is an alumnus of IIT Kanpur with over 20 years of experience in the IT industry. We are always on the lookout for enterprising individuals with strong skills in various fields shown below to work in an internship or returnship model. This is an excellent opportunity to learn more about the Hobby Industry, Online Marketplace, eCommerce, Research, Marketing Content, Campaigns, Engaging Visuals, and much more. You will be working directly with the co-founders on this, and can learn more about the start-up business. You can work from home, at your preferred timings, with well-defined scope and schedule, and gain certified experience. Content Writing: Strong content skills to collate and curate information about teachers, classes, equipment sellers, renters and practice spaces pertaining to a hobby. This involves internet search and may also involve site visits depending on the scope. Content Marketing: Intriguing page write-ups, blogs, videos and social media posts on topics such as benefits of hobbies, beginner’s guide, progressing a hobby, etc. Scripting Automation: Strong technical skills to create scripts to fetch internet data to collate and curate information about teachers, classes, equipment sellers, renters and practice spaces pertaining to a hobby. Market Research: Research on the market potential by hobby, genre, region, age-group and other demographics. Research on market gaps, competition and benchmarks. Online Marketing: Expertise in Google (AdSense, AdWords, Analytics), and Facebook marketing to independently setup, analyse, and fine tune marketing campaigns. WordPress: Strong skills on WordPress and related technologies to quickly upgrade the website features. Features on the list include User Profile (like LinkedIn, Instagram), Community Features (like Facebook, Meetup), Directory Listing (like Yelp, FourSquare) and eCommerce features for Products (Amazon), Services (UrbanClap) and Events (BookMyShow). While having an overall vision in mind, the preference is to execute updates in an agile model with well-defined scope, schedule and costs for each feature or sprint.